Meeting Success - Dr. Willie Jolley | Official Website of the #1 Motivational/Inspirational Speaker & Singer in America! Hiring the RIGHT speaker is the key to the SUCCESS of your event. It is crucial to hire the prefect motivational and inspirational keynoter to open and close your convention, annual conference, awards/recognition program, in-service training, etc. Why? Participants come to events, often jaded by their daily job challenges, frustrated by the gloom and doom of the economy and sick of hearing they have to do more with less! They need to be challenged, encouraged and empowered by a fresh voice from outside of their organization. with a proven record of performance by reviewing their clients and testimonials. whose deliver style will captivate the attention of your audience and engage them long enough to absorb the nuggets of information you want them to take away and use on their jobs. who is focused on delivering the outcomes you want to achieve for your program and event! knows how to fire up employees and helps them feel a strong sense of commitment and participation in their company! makes the participants realize they have the potential to achieve greatness within their organization. is an expert in using words to appeal to the intellectual and emotional reasoning of their listeners. In addition, they use engaging words, personal stories and other real life stories to connect to their listeners. This enables them to break down the emotional barriers that may be in the hearts of the listeners! 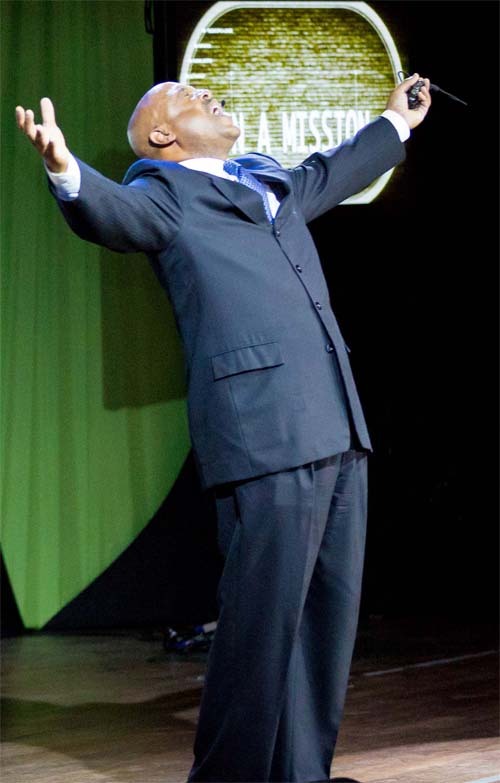 Dr. Willie Jolley is the key to ensuring that your organization has an AMAZING conference! Ready to get started?